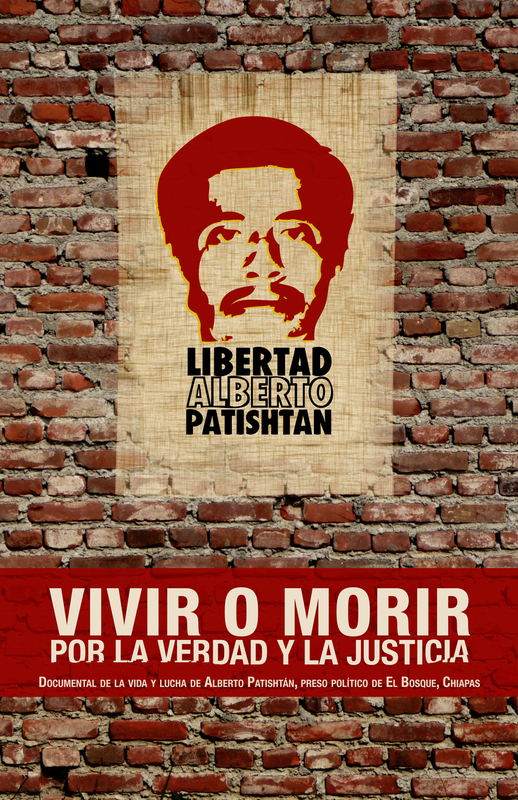 The only crime for which Alberto Patishtán Gómez remains imprisoned, under a 60-year sentence, is his activism against injustices perpetrated against some of the inhabitants of the municipality of El Bosque, Chiapas, stated the teacher from that community, Martín Ramírez López. During the political and cultural action "Educating to Be Free," organized by the National Coordinating Committee of Education Workers (CNTE) in support of Patishtán, which was held last night at the camp maintained by the dissident teachers at the Monument to the Revolution, Ramírez López said that the case of Tzotzil teacher, imprisoned for 13 years "for a crime he did not commit", should be disseminated far and wide to increase the pressure for his release. He recalled that Patishtán Gómez was one of the people most concerned about the situation of inequality that was in his municipality. "He denounced the great injustices in El Bosque," organized the community to call on state and municipal authorities to clarify the death of some people, and even ventured to ask for the dismissal of the then-mayor (in 2000), Manuel Gómez. Ramírez López stated that Patishtán's activities were precisely what made ​​him a man "uncomfortable" for the authorities, so they took advantage of an ambush against several police officers, which killed seven, and accused the indigenous educator. Contrary to what municipal authorities thought, the people organized to demand the freedom of the teacher and held a permanent vigil at the offices of the municipal council, "it was then when the state government, headed then by Roberto Albores Guillén, promised to do justice, which never happened." The professor considered that the amendments to the Federal Criminal Code made ​​last week by the Senate so that the Congress can seek pardon in cases of injustice like Patishtán's, and which were turned over to the Chamber of Deputies, are an option for his release. "However, we have lost confidence in the authorities. Furthermore, we disagree with the pardon because Patishtán is not guilty and does not have to be forgiven. On the contrary, those who have to apologize are the mayor, the judge who sentenced him, the prosecutors who fabricated evidence, and everyone involved from all levels of government." Meanwhile, Héctor Patishtán, son of the Tzotzil teacher, said that one cannot even speak of his father's release, because although the Senate passed it, these amendments must be ratified in the Chamber of Deputies. "My father thinks it's a path, but it has to be studied thoroughly; if we agree, he will take that path."